Do you fiddle with your sound system settings? Is amateur radio or other broadcasting forms fascinating? Have we got the job for you! Broadcast and sound engineering technicians install, operate and perform maintenance on a variety of electronic equipment that records sound and provides broadcasting capabilities for television and radio stations, sound recordings, motion pictures and in a variety of presentation centers such as schools, businesses and organizations. In operating equipment, they adjust settings to provide optimum broadcasting or recording quality. A full time work schedule is fairly standard, with some evening, weekend and holiday work required due to 24 hour broadcasting schedules. Technicians working on motion pictures may find themselves working long hours with little time off, followed by periods of unemployment between projects. Maintenance technicians may have to climb antennas or poles and may be required to carry heavy equipment while setting up at a remote location. You may work some overtime hours when meeting a deadline or preparing for a live broadcast. Qualities you’ll find beneficial to your career in broadcast and sound engineering include manual dexterity, critical thinking, good communications, familiarity with a variety of computer programs, problem solving skills and a variety of technical skills. To remain competitive in today’s job market, an associate’s degree or technical certifications in broadcasting technologies, computer networking, electronics or similar fields is very beneficial. Certifications such as those offered by the Society of Broadcast Engineers or InfoComm International shows that you’ve kept up-to-date with new technology advancements and know industry standards. Once you’ve finished a degree or certificate program, you can hire on at a small stations or markets, as large stations rarely hire an unexperienced technician. You will receive several months’ to a year’s on the job training, most commonly working under a more experienced technician, though some formal apprenticeships still exist. Because of the rate of change in technology, continuing education or job training is vital to keep your skills current. Pursuing additional certifications after getting a job will show an employer that you’re serious about keeping current with your skillset. Advancement opportunities include moving into a larger or more extensive company, becoming a supervisory technician or chief engineer. Computer support specialists render assistance to both in-house and consumer problems with technology and software. Electronic and electric engineering technicians assist in developing and designing a variety of electric and electronic equipment, including product testing and equipment adjustment. Electric and electronics installers and repairers provide installation, maintenance and replacement of electronic and electrical equipment in a number of fields. Film and video editors and camera operators work with digital cameras and video media to produce an assortment of video material and combine it into a cohesive production piece. The average annual pay for broadcast and sound engineering technicians was $39,870 for all classifications as of May 2010. Sound engineering technicians had the highest average pay at $47,080, followed by audio and video equipment technicians at $40,540 and broadcast technicians at $35,120. On average, technicians in large cities made more than their rural counterparts. 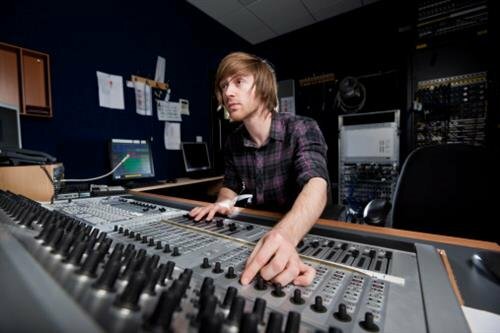 Opportunities for broadcast and sound engineering technicians is expected to grow by 10% between 2010 and 2020, about the average of all career paths. Within this category, audio and video equipment technicians can anticipate a 13% rise in opportunities while broadcast technicians will have a slower rise in opportunities at 9% and sound engineering technicians slower yet at 1% over the same time period.